The Esports Shop - A new in-game shop that features items representing various teams from the Rocket League Esports ecosystem. More information including initial partners and items will be revealed next week. Rocket Pass 3 and the Challenge System - Rocket Pass 3 will go live on April 17 and will introduce the Challenge System. More information on the Challenge System will be revealed next week! Replay FX - A brand new toolset which features visual editing options for match replays. Changing the depth of field, altering backgrounds, adding green screen effects, color adjustment, and more post-processing effects will be possible with Replay FX. The Rocket League "Esports Shop Update" is scheduled for April 16th, and Rocket Pass 3 launches on April 17th. We've got the full list of Rocket League achievements - check the list for guides to unlocking them. This game was featured in our Best Xbox One Sports Games Available in 2019 article. Why not check it out to see what else made the cut? Lucy wasted her youth in the pursuit of music, art and stories. Eventually she discovered that video games combine all three with shooting and exploding stuff and a gamer was born. Get the biggest Xbox news delivered straight to your inbox every week. Sign up for free now to have your achievements and gaming statistics tracked. Manage your Game Collection, measure your progress across entire game series, even set scoring and completion goals and we'll chart your attempts at reaching them! We've also run over 600,000 gaming sessions to help our members unlock millions of achievements and make new friends. And, we're fully secure and mobile friendly. community members have subscribed to receive updates for this game. 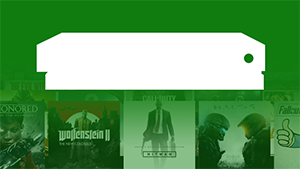 Poll: Do You Subscribe to Xbox Game Pass?